Each year I always try to see what sweet treats I can make to celebrate days like Halloween. Last year I shared with you how to make mummy hot dogs, last week I showed you how to make ghost pretzels, and now, we’ll be making dirt cupcakes with gummy worms. The idea for this recipe is not new because I have always made it as a whole cake. But to make it even more adorable, instead of making a cake, I made it into cupcakes. 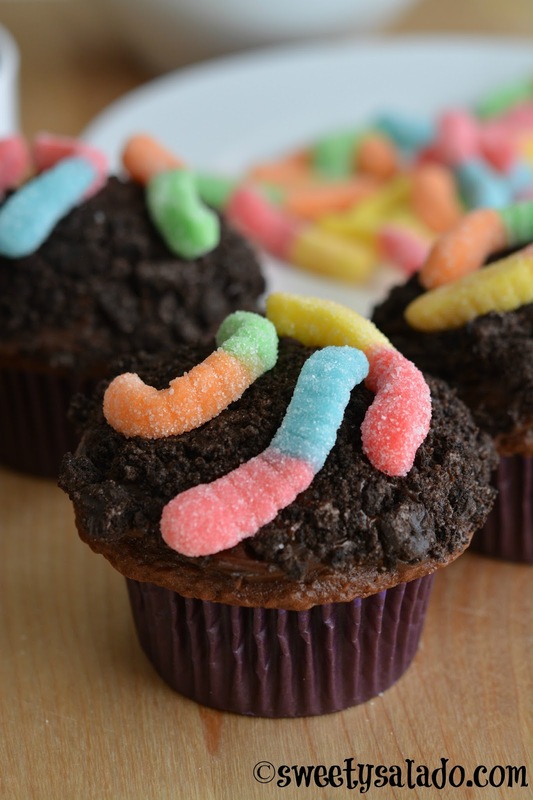 A dirt cake with gummy worms is one of those classic recipes that is very popular here in the US during Halloween. You can use a store bought cake mix or if you want, you can make either the chocolate cupcakes recipe or chocolate cake recipe that I already have on the blog. The frosting can also be store bought or use the recipe for chocolate buttercream that I also have on the blog, which is incredibly delicious. Place the Oreo cookies in a resealable bag and crush them well with a rolling pin, bottle or can. Pour the crushed cookies in a bowl. 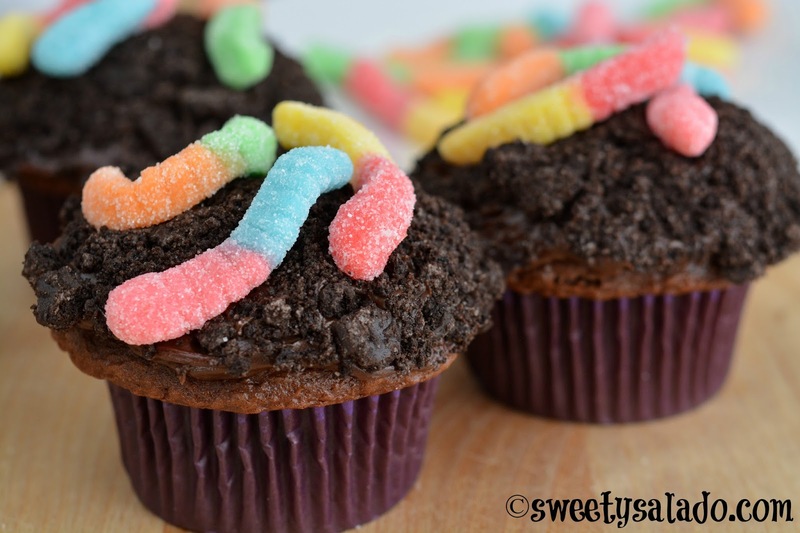 Frost each cupcake with the chocolate frosting and then dip them in the crushed Oreos making sure they are well covered so they resemble black dirt. 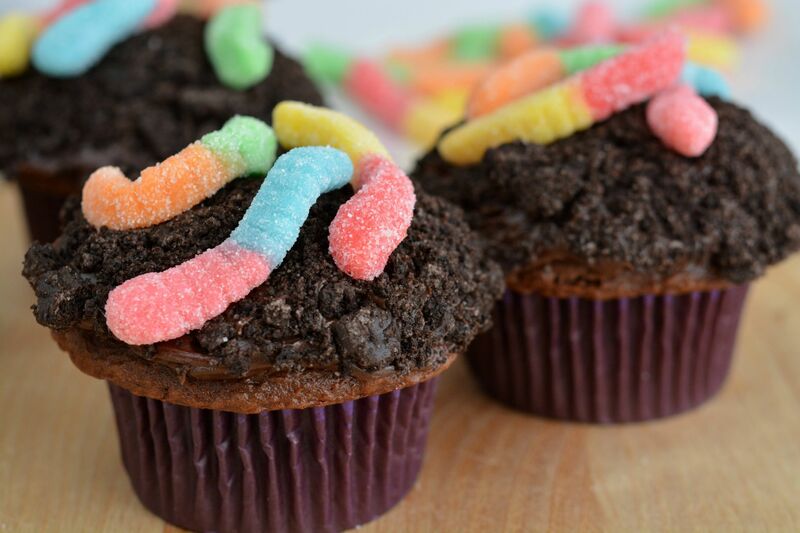 Finally, place between 2-3 gummy worms on top of the dirt and serve.